Wife’s Turn: Family. It’s What We Do. – We Got This! You are here: Home / News / Wife’s Turn: Family. It’s What We Do. For me, where my beliefs and values on family came from is where it was taught to me. My foundation is the family that I grew up in. My mom, dad, and brother to be exact. I know now, when it comes to family, I am lucky. I grew up in one that was nurturing and loving. While my mom and dad were quite strict (yes, you were! ), they too were always there for me, no matter what. Sue’s mom and dad at their 50th wedding anniversary party a few years ago. I can’t tell you the number of times my parents helped Ken and I move, watched our dogs, took our pet as a pet (oh, college days), or strapped a mattress to the top of their car and drove it from Pennsylvania to Virginia (this didn’t work so well, but they still did it!). They also understood the pain Ken, Kari and I have been going through and have done everything in their power to make it easier. When we needed space, they gave it; in fact, they took this as a chance to rally troops in Pennsylvania to help out. They also, with a single telephone call, dropped everything to help move Kari into her new college house this year. And of course, my brother and sister-in-law and nephew joined them and did the heavy lifting. They’re family… it’s what they do. Sue and Ryan were always laughing about something. Back to my point. While I desperately struggle each moment with what happened to Ryan, I have no regrets as his mom. And for this I am thankful. I don’t think I could live with myself if I did have regrets. I just couldn’t. But, it’s not just my relationship with Ryan, it’s also Ken and Kari. I’m a mom, it’s what we do. My sweet, sweet Kari. Wow, where do I begin? She epitomizes family. 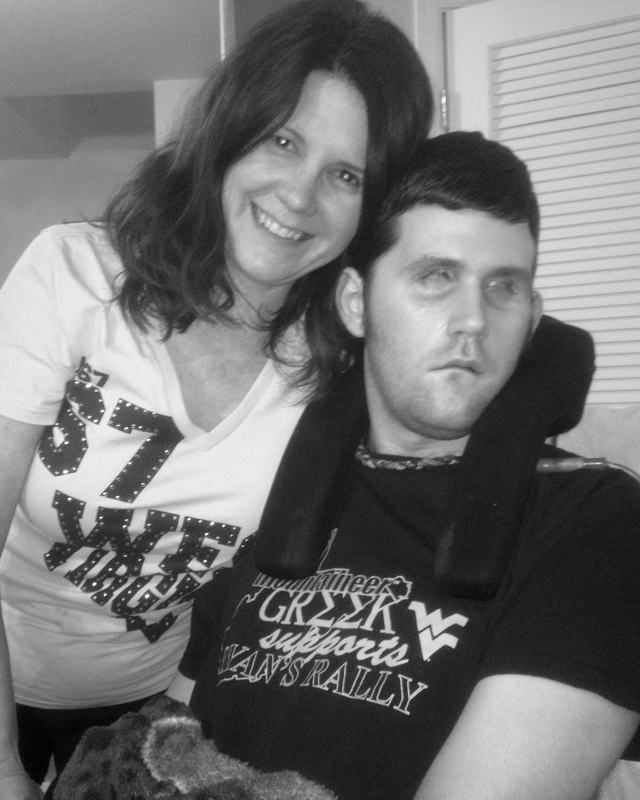 When Ryan was attacked, Kari was just a teenager beginning her senior year of high school. Prior to that tragic night, she spent her days on schoolwork, hanging out with her friends, and playing varsity lacrosse. Life was great. 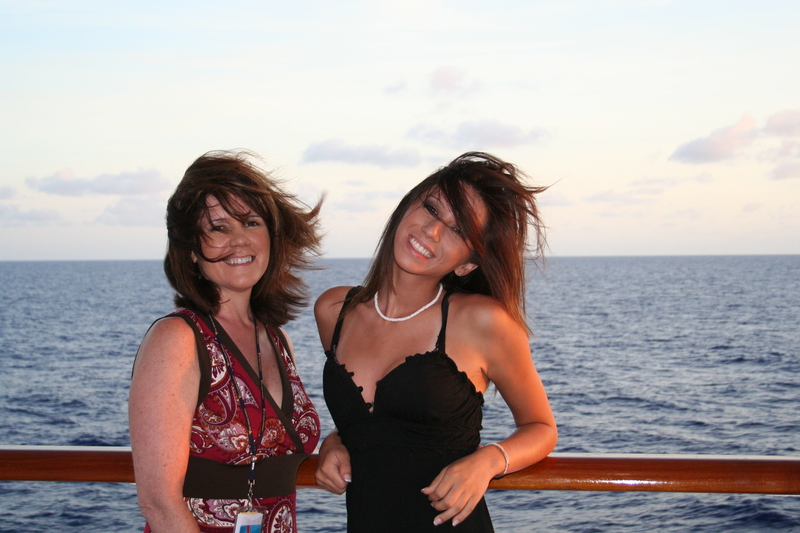 Sue and Kari on a mother-daughter cruise. When everything happened it was hard to know how she would handle it. Kari went above-and-beyond any, and all, expectations that I could have as a mother. To say she went from a teenager to a responsible adult overnight is an understatement. She put her life on hold. Everything was about Ryan. She came with us to Atlanta and tirelessly spent every hour of the day taking care of Ryan. As a reminder, Ryan spent a few months “storming”; yes months. These episodes usually lasted about 18 hours each day. As Ken describes these to people, “it is the mind and body in chaos”. During this time Ryan’s heart rate would be up (150+), blood pressure sky-high, and temperatures frequently 105+ degrees (109.8 was his highest. I don’t know how he ever survived that). He would moan in pure agony. They were life-threatening events where Ryan was at risk of a heart attack (pulse), stroke (blood pressure), or catastrophic cellular protein breakdown (fever). Kari went back-and-forth from Ryan’s room to the kitchen to get ice, then put the ice in latex gloves or baggies and bring them back to ice Ryan down. Her hands were numb, red, and raw; but it never stopped her. She would also wipe his body down with iced wash cloths, all the while comforting him. She worked so hard she was actually confused for a nurse in the ICU! When Ryan’s temperature would come down, it often went the other way… fast. I remember more than a few times he was so chilled that we couldn’t even get the thermometer to register (he was below 92 degrees). Kari then went back-and-forth to a dryer (on the other side of the hospital wing) to warm blankets for him. She never complained. To her, it was her big brother that needed her and she was there. Ken and I needed her and she was there. Still, to this day, she puts Ryan first. 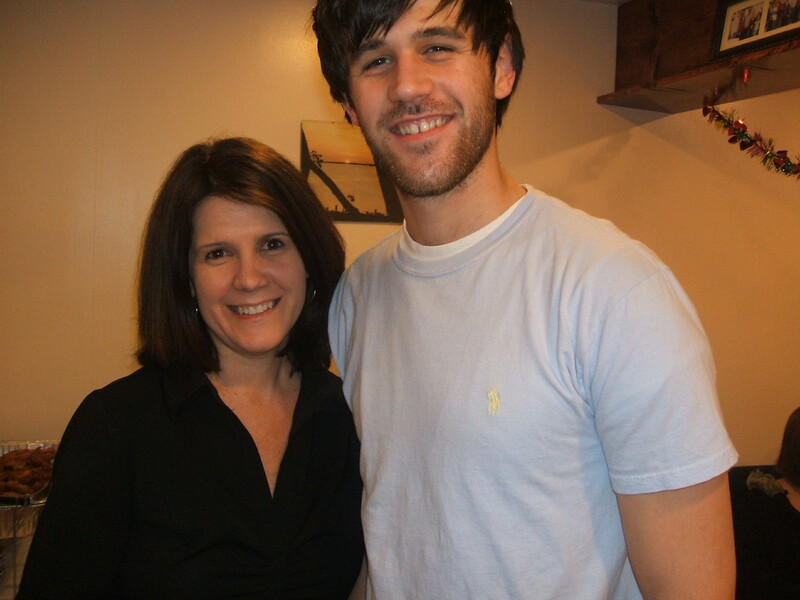 In fact, on Ryan’s birthday, Kari surprised us by coming home from college. She simply said, “it’s Ryan’s birthday, I would never miss it”. She is truly incredible. To think a young girl would selflessly give up everything to devote to her family is monumental. As she always says, “Ryan would do the same for me”. But to her, she is a “sister”, it’s what sister’s do. Next, my beloved husband, Ken. Wow, again. 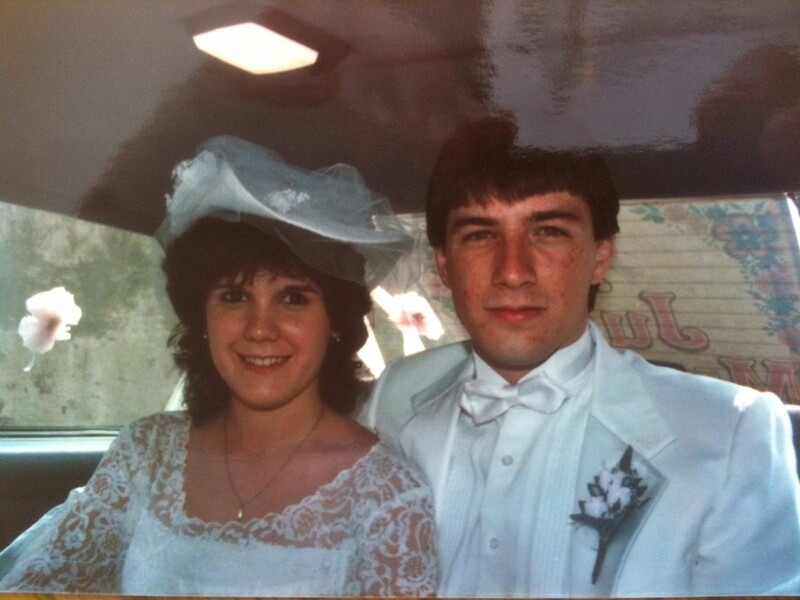 When we said our wedding vows 26 years ago and we promised for better or worse, I don’t think either of us ever imagined the “worse” being this bad. I also don’t think I could have ever imagined how my husband would honor this commitment. His dedication and devotion are beyond belief. He is a man of principle, honesty, and conviction in its purest form. Our Wedding Day. For better or worse. I don’t know how he does it. Ryan’s body is in incredible, just incredible, condition. And this is all Ken. He works with Ryan ALL day. EVERY day. He never complains. Well, I take that back, he does complain, but not about working with Ryan. For Ryan and our family, he is our rock. The pain Ken endures, both mentally and physically, is heartbreaking. His body is bruised, scratched, and achy. He doesn’t realize it, but I sometimes see the tears welling up in his eyes and watch him push them away. I just wonder if the hurt he is feeling at that moment is from his body or mind (or both). But he’d have it no other way. As I look back on our years together, I’m not sure why any of this would surprise me from him. Ken has always been a remarkable dad. He exemplifies fatherhood. He just couldn’t get enough of Ryan and Kari. He just wanted to be with them all the time. And they loved every moment with him. Ken’s also considered the “cool” parent. He’s gracefully athletic, unbelievably smart, and so very, very funny. He makes us laugh all the time. I know I’ll later regret saying this because Ken’s head will swell even more than it already is, but he’s also quite handsome. Both of my kids take after their dad in many ways. That’s a good thing (for the most part). And, just like Kari, never once has Ken considered any other path in life. When the kids wanted to play ball, he didn’t just take them in the yard and play with them, he also coached their teams. Anytime they needed a coach, Ken was the first to raise his hand. He took every opportunity to be their coach, on and off the playing field. He did this with precision, authority, consistency, and compassion; even when it meant doing nothing and letting them solve their own problems. “Ryan, this is your problem because you created it and allowed it to happen. Hiding from it up in your room or acting as though it never happened is never the answer. You own it and now you must deal with it. Make it right, but you should try to make it more-than-right. I am here for you, but I will not protect nor excuse you from your actions and obligations. You are young, but old enough to learn that adult decisions and behaviors have adult consequences. My son, you are fully accountable”. That is being a father! Oh, how I wish every man would raise their children with so much wisdom and guidance. I’d bet Ryan would be with us today if they all did. To Ken, family is first and foremost. When he says, “I’m the dad” he means it. He’s a dad… it’s what dad’s do. While I’ve always felt family comes first, the past three years have shown me just how important family is and how tragic it could be if petty differences pull apart. So I leave you with a closing thought. As Thanksgiving rolls around in just weeks, take a look at your family. Are you doing everything you can? Would you have any regrets if something were to happen? Believe me, life can change in split second, and you might not get a chance to make a change. Reach out to your family, let them know how much you love them. The blankets are gorgeous! My son and his wife are expecting a baby boy due in November. The blanket, either color, would be a beautiful family heirloom for geeoiatrnns yet to come. Thank you for sharing….I am doing the same as I think it’s such an incredible (and incredibly important) message! Much love to you and your amazing family. Beautifully written and I’m sure through many tears. Your family is an inspiration to a lot of people. There’s many lessons to be learned in your post today. I hope that you, Ken, Ryan and Kari have some good news coming soon from Ryan’s past visit and we can all have something to be thankful for this Thanksgiving. Such wisdom Sue. I can’t thank you enough for reaching out to other families with these words. What an impact it will have, not only for today but for generations to come. I remember you telling me how Ryan would come into your room late and night and want to talk, or eat, or do push-ups and you always did it! I wish I could say the same. How many times have I wasted the moment. The love you and Ken have for your family is truly an inspiration. Beautiful post Sue, and a good reminder to everyone. Sue, this is one of the most profoundly beautiful things I’ve ever read. I just have so much admiration and love for all of your family. I loved reading all your thoughts. Love is such a beautiful, precious thing. Your family is blessed because there is so much love and caring between all of you. Thank you for sharing your family’s lives with us. Everytime I come to this blog, I learn something. To you, Ken, Kari and Ryan — thank you for inspiring us every day. Sending you my love, hugs, and always my prayers. Still here, still believing, not going anywhere. Awesome! I love this reminder! I don’t ever want to have regrets. I think sometimes its easy to get caught up in work and life and just take the simple things for granted. How can I care so much for a family I have never met? You guys are amazing!!! I can’t think of a bigger blessing for a parent than having no regrets with your children — that gives me a measure of peace for you and Ken, despite all the challenges you are forced to endure. And I can’t think of a better blessing for children than having two loving parents who are also incredible role models. That certainly shows in Ryan and Kari. You Divineys are an extraordinary family on so many levels, and your fierce love for one another inspires us all every day to be better wives, husbands, parents and siblings ourselves. Thank you for sharing your heart and family with us, Sue. We love you all (and think your own parents are pretty awesome too)! Oh if only the world was full of families like yours! Totally reposting this and sharing Sue’s words. Just amazing and truly inspiring. Thanks so much for sharing! Your words have perpetually changed the way I view my family. I may be a little young to say this but, I look forward to the day I can call myself dad. Ken and Sue: It’s pretty obvious where Ryan and Kari get their strength from. Beautiful reflection Sue and much needed. Love one another. This begins at the family level. Respect and peaceful negotiation are also learned within the family. I think our politicians and world leaders could learn a lot from good, successful families.I grew up in a family with 3 brothers and a sister, and we learned these important qualities from the ground up, because like yours and many others, our parents were excellent role models. Every family is, of course, not this fortunate, and when mental illness, drug or alcohol abuse are thrown in the mix — well, we all know the devastating results. Families like yours and mine are fortunate. I so wish that all families were like ours. It would surely lead us to a more peaceful world. Thank you for writing, Sue. We miss Ken, but I am sure he is working on a project, and we will hear about it later. 😉 Always here and praying. Faith, love, and hope shared right here. Responsibility? I’m not sure responsibility can be learned. I think maybe it’s like rhythm, ya either got it, or ya ain’t! And now don’t we know some irresponsible ones? !! Simply BEAUTIFUL, just like you, my dear Sue. I have been called many names, but Mom is my favorite of all. I can relate to family love. It is deep and forever. WOW.. what a post to come back to. I just got my phone/internet back since Hurrican Sandy and boy am I glad! What a beautiful, heartfelt and genuine post. Thank you for writing it. I will continue to pray on each of your behalf… and I will, without a doubt, be thanking GOD for the blessing he has bestowed to each of you by giving you one another. It is clear that this was no accident and that this is what is helping to see each of you through such trying days. What a shining example of your goodness, Sue. You are an amazing mom/wife/daughter/sister/friend. I’m honored to know an incredibly beautiful soul. God Bless You. Sue, we don’t get to hear from you very often, but when we do, you have a beautiful message for all of us. You have a wonderful family and the bond that you share is something special. Thanks for your insight and sending the message about love & family. Wow–this was beautiful! As I wipe the tears from my eyes I am reminded again what an amazing family you all are and how unfair life is sometimes. Love you! Brings tears to my eyes. Thank you for sharing that. God bless the Diviney family! You are a good mom, Sue. I remember telling you that at the Shepherd Center. You raised your kids right, and I am so sorry that this happened to Ryan. Thanks for the reminder to all of us that we should be actively thankful this Thanksgiving. I have been so fortunate to see you, Ken and Kari in your roles in your family. This post reminded me of our conversation the other night about how Kari always wants to make sure that Ryan does not know that she is going out when she is home. Her love for him so great that she make sure he understands when she is home she is there to be with him and your family. Your right, your Ken has gotten even more handsome than the day you married him. Maybe this is why when I walk in and say “Hi Handsome” to Ryan, Ken always responds “Hi.” Yes, he is indeed a funny one! Morgan and I talked the other night after leaving you how much you and Kari remind us of her and me. Our girls are so much alike in their ability as very young women to step up to the plate when our families needed them to.Your Kari is an amazing young woman, both you and Ken clearly did a lot of the “right thing” when she was growing up. Your family exudes love. 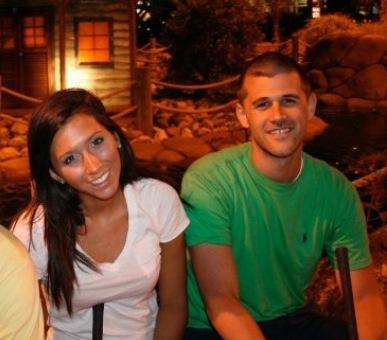 Morgan and I both said the other night how wonderful we feel after spending time with you and Ryan. I hope we bring you a tenth of the happiness as being with your family brings us. Absolutely beautiful. I admire you. Thank you. This popped up as a new post for me for some reason. I had never read it before. Mom, you are not giving yourself enough credit here. He is a cool dad but you are a cooler mom. You drove the TP car? That is nuts, love it! This caught my attention in the featured posts column. I had not read it last year. Wonderful write up by Sue and good reading as we approach Thanksgiving. Look forward to more videos of Ryan tasting his favorite foods again. Our prayers are with your family. I recently came across an old magazine from a year ago which covered a story about people rallying to Ryan’s cause by holding garage sales, etc. I don’t know how I missed the story the first time around. That article lead me to this website and after reading his story I am so saddened at the total waste of Ryan’s potential for no reason at all. I have a 20 year old grandson who is in college and I pray every day that nothing happens at the school…that someone won’t come in and try to kill as many people as they can for no reason. It seems that every day I read of another school, theater, or shopping mall shooting. It never occurred to me to worry that he could be beaten unconscious while walking to a store. My God, what is this world coming to?? I do not understand how you are able to go on day to day after this has happened to your son, but I admire your strength and dedication to Ryan. I recently lost my job, and since I am supporting my daughter and grandson and my disabled sister money is tight, so I am going to donate what I can afford to your son. It won’t be much, but everything helps I’m sure. 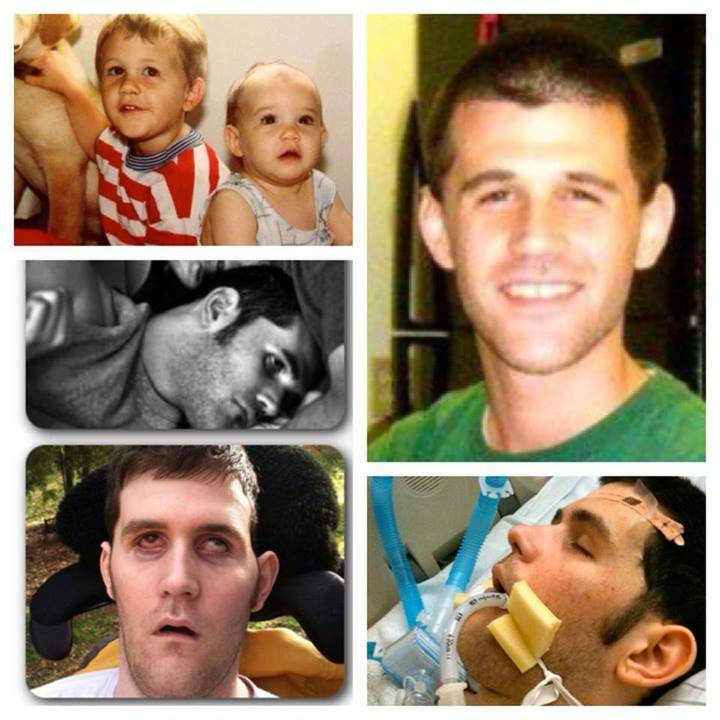 I wish your family would receive a miracle and Ryan will wake up so you can once again look into his beautiful eyes. God bless you all. Just beautiful Sue; this is active faith, and an unrelenting love for your family. I am so encouraged by you and Ken and Kari and your devotion to Ryan. I feel as if I know him so personally by your sharing your experiences with us. Yes, you all have done a marvelous work in trying circumstances, and your endurance and faith has helped so many. God bless Ryan and all who take care of him, and for those of us who have come to know and love him through your website and posts, we are continuously in prayer, and hope for full recovery for Ryan. God bless you, strengthen you, supply every need, and keep your faith strong. Love and prayers. I meet Ken last night. I was drawn to his spirt….it was so bright and powerful I was late to leave and had to get home but his spirt was pulling me closer..I had to stay and talk to him,I was so glad I did he touch my ❤️ In so many ways. Ryan and his family will always be in my prayers.I may not be able to help financially but I can offer to physically help, I had brain surgery last year and I am only working 4-8 hrs a wk.because of complications. However I am still a far cry away from Ryan. May God keep his arms wrapped around Ryan and his Grace fill the hearts of the family. Please let me know if I can be of any help to you !